Creating online forms can be difficult for some merchants due to the amount of HTML coding needed to get the form to function correctly. Fortunately, by using Google Drive (formerly known as Google Docs) you now have a way that allows you to easily create a form and embed it directly onto your page(s) as needed. The following information will show you how to do this. This article will not go into full details on creating a form with Google Drive since it's not our specific software. However, Google has made the process so easy and straight forward that a full instructional isn't really needed. If you find yourself stuck though, Google Drive has great tutorials to help you along such as this one here. 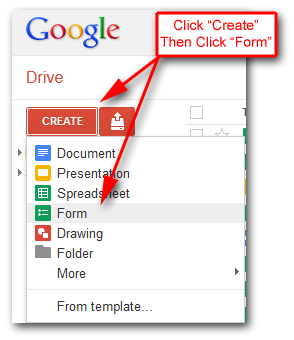 To begin creating your form, log into your Google Drive account by going to https://drive.google.com. 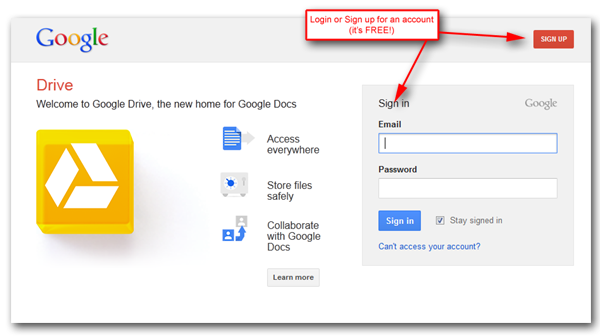 Once you're logged into your Google Drive account you should see a "Create" button located at the far left of the page. followed by the "Form" link. 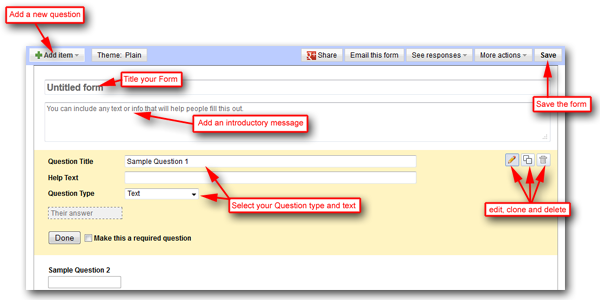 The basic steps of creating a form are illustrated below. As mentioned previously, we won't be going too far into detail on creating the actual form, but as you can see from the following image, the Google interface has greatly simplified matters. Once you've created your form, save it. 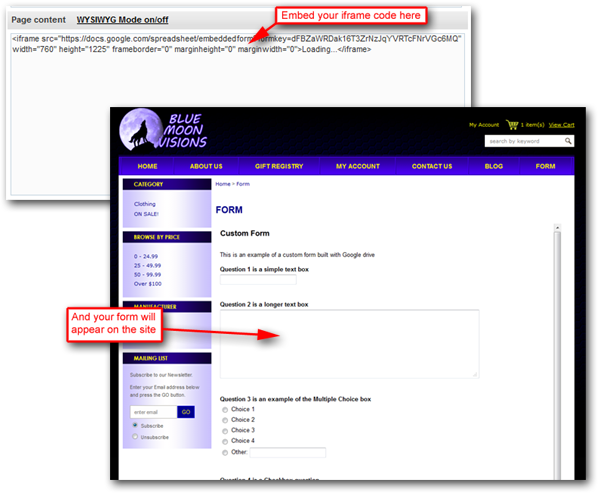 We will now use Google Drive's option to embed the form into a page on your site. After saving your Google Drive form, click on the "More Actions" button at the top of the Google Drive page. Google Drive will now generate an iframe code for you to add to your site. Copy this code and proceed to the next steps. For more information on using Site Content please click here. Click the "Content" button for your newly created Site Content page and add the Google Drive iframe to its content section. 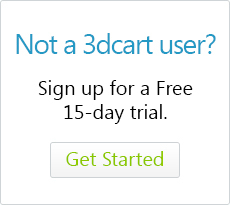 Make sure WYSIWYG is turned OFF on the site content before adding the iframe. Your Google Drive form is now part of your site. All submitted data will be store and retrieved directly from your Google Drive account.